• Ayudha Event Production & Rent is one stop rental service in Bandung with proper equipment and friendly staff to assist all of your event needs. We are committed to providing professional rental service for Bandung event organizers, Bandung meeting equipment, Bandung event equipment, Bandung wedding equipment, Bandung sport equipment, event decorations and other tailor-made events. Our human resources are trained to give the utmost service and with proper working plan to minimize any technical error and to find solutions for any problems occurred on site. 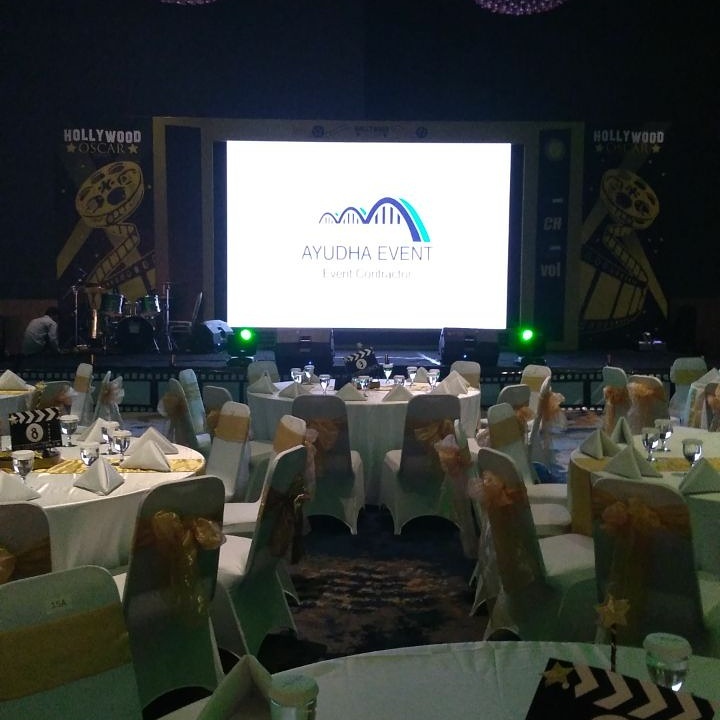 Ayudha Event Production & Rent is one of the most reliable event equipment rental company in Bandung – West Java and is also proud as the only and most complete rental event equipment in Bandung. The company has supported many Bandung event organizers and in Jawa Barat & Jakarta with various kind of events from corporate events, meeting events, exhibitions, conferences to luxurious wedding events that held in Bandung and other parts of Jawa Barat & Jakarta. YOU JUST FOUND EVERYTHING YOU NEED !